The first MILAN was held in 1995 with five participating nations and since then the event has been held every two years except in 2001, 2005 and 2016. 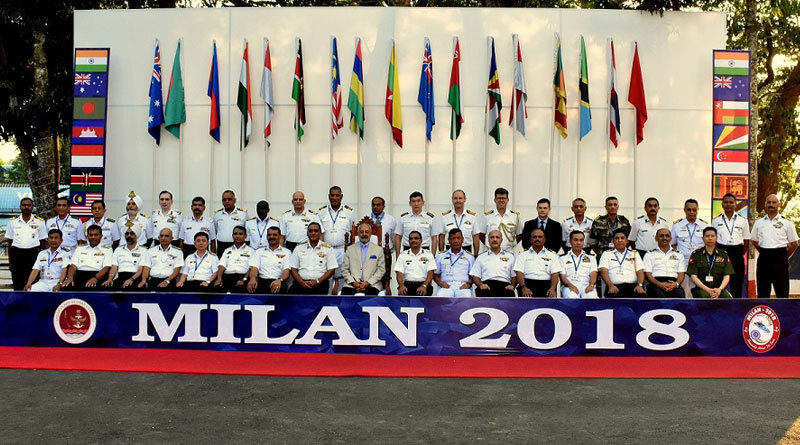 The arrival of 11 foreign warships in Port Blair on March 6 marked the beginning of the 10th edition of MILAN, a biennial congregation of friendly navies. These ships from countries in Asia Pacific and Indian Ocean Regions will be berthed at the Naval and Haddo jetties. In addition to the warships from the Andaman & Nicobar Command, Indian Naval Ships from the Eastern Naval Command will also be participating in the multilateral exercise, starting from March 11. On their arrival at Haddo jetty, all foreign warships were received by the joint Army, Navy and Police Bands. With the participation of 38 delegates from various countries, making it the largest gathering since its inception in 1995. The International City Parade would be open to the general public on March 9 with Raksha Mantri being present. A Band Concert was also held on March 6 at Dweepika Auditorium, Haddo area by the Andaman & Nicobar Command for the visiting foreign delegates and participants. Lieutenant Governor, Andaman & Nicobar, Admiral DK Joshi was the Chief Guest for the evening and Commander-in-Chief, Andaman & Nicobar Command, Vice Admiral Bimal Verma attended the concert. Formed in 1945 with a handful of Naval musicians, the Indian Naval Band rendered a wide ranging repertoire which comprised stirring martial music, arrangements of symphonies, Indian classical music, and a host of other forms of contemporary genres. An International Maritime Seminar was conducted on March 7 at Dweepika Auditorium, Haddo, based on the theme “In Pursuit of Maritime Good Order-Need for Comprehensive Information Sharing Apparatus’’. 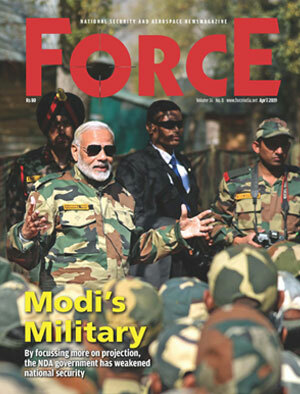 It has evolved from an initiative of the Indian Navy in the early nineties which aimed to create a forum for the littoral navies of the region to exchange thoughts in the area of maritime cooperation and ‘Humanitarian Assistance and Disaster Relief’ (HADR). It is deemed to be an effective platform for social, cultural and professional interactions and promoting camaraderie, maritime cooperation’s and inter-operability during humanitarian missions. The first MILAN was held in 1995 with five participating nations; India, Indonesia, Singapore, Sri Lanka and Thailand. Since then the event has been held every two years except in 2001, 2005 and 2016.